Iâ€™ve been meaning to write about this for a while now and was reminded again about the message your email address sends when I was following a van recently. The van was sign written [good], carried a large phone number [good], web address in significantly smaller [not so good] printÂ http://www.jobbingtrader.co.ukÂ and an email address â€“ not just any email but a free address [awful],Â jobbing-trader13@outlook.comÂ [names have been changed to protect my health]. First offÂ – an Outlook.com address, really! 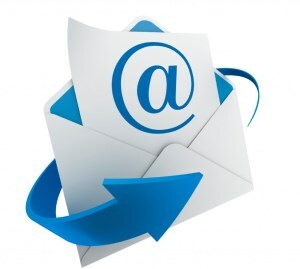 In fact any free email address â€“ such as one from Yahoo.com or Virgin.net or BTInternet or AOL to name but a few â€“ really does send the wrong message!